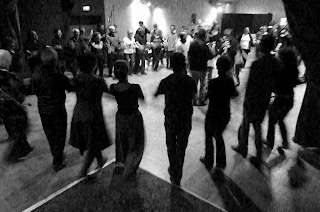 Fest-noz and Breton: Why Dance to Preserve the Language? Alexis March is a Junior in French and Anthropology. After graduation, Alexis is planning on continuing her graduate education in French and International Law. She wrote this blog post as a student in 418 ‘Language and Minorities in Europe’ in the spring of 2015. At first glance, it may not seem that traditional Breton dance has much to do with Breton language revitalization. After all, how can dancing possibly help a moribund language? For starters, understanding Breton as a “range of social practices” and as an activity reveals the potential of community centered language initiatives, such as traditional dances, in language revitalization (Le Nevez). 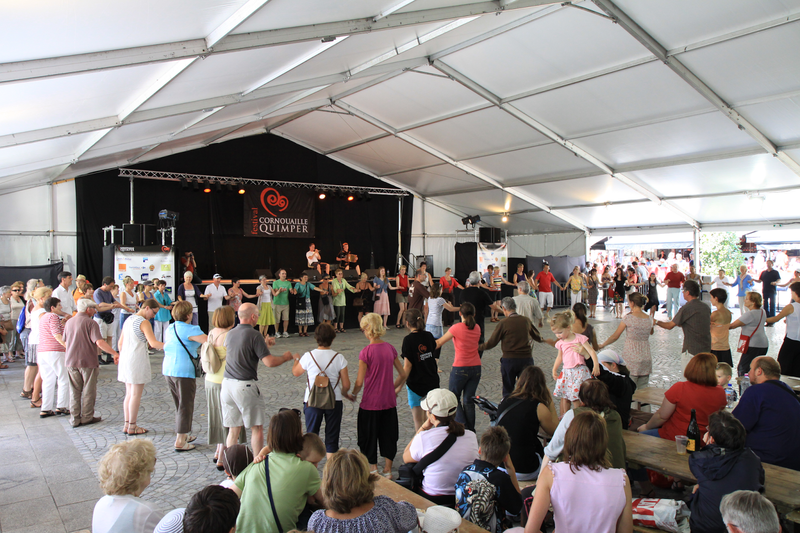 Fest-noz serves an important function in the transmission of Breton culture and language. 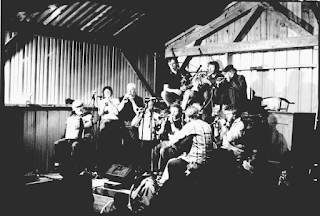 It is “a festive gathering based on the collective practice of traditional Breton dances, accompanied by singing or instrumental music” (UNESCO). Regional dance, music, language, and gastronomy all play a part in making fest-noz important for cultural and linguistic revitalization. Fest-noz gatherings are held across Bretagne and bring people of all ages and backgrounds together. At these gatherings, you are likely to see children, teenagers, parents, and grandparents all dancing together in dances such as the petits doigts (pictured just below), in which dancers intertwine little fingers and form a large circle (Dołowy-Rybińska). Many dances date back to Breton rural traditions during the Middle Ages, but today’s fest-noz is a relatively modern tradition that traces its origins to the mid-twentieth century. 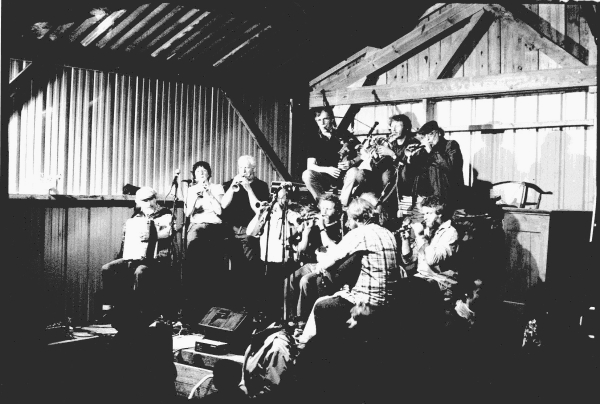 Music at fest-noz is traditionally Celtic and draws on the rich tradition of Irish Gaelic music. One is also sure to find crêpes and a plentiful supply of cidre Breton. Communes, cities, and villages across Bretagne have local cultural associations that organize fest-noz. According to Brittany’s official tourism website, “around a thousand fest-noz are organized in Brittany every year.” That means there is an average of two to three fest-noz gatherings in Brittany every day! These regular gatherings emphasize the cultural aspect of the Breton language that is not necessarily transmitted to students in Diwan schools. These bilingual schools in which children learn Breton alongside French have been instrumental to reviving the language. Diwan schools have introduced Breton to the educational setting in order to combat the reality that parents and grandparents aren’t passing the language down at home. This has been important for increasing the number of Breton speakers. However, the Breton taught in schools is a standardized written version of a primarily spoken language with significant variation and regional diversity. The standard Breton of the Diwan schools is not a variety that has been traditionally spoken in family and community contexts. The dissonance between traditionally spoken Breton and the new standard Breton has created anxieties about where the language is headed. 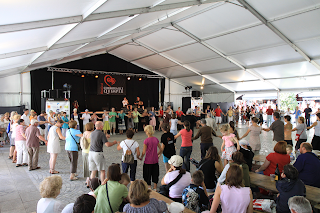 Cultural initiatives like fest-noz promote community among Bretons, which can help stem anxieties about the future of the language and connect younger speakers to an older generation of speakers who can expose them to the richness and diversity of the language. When Diwan schools were founded in the 1970s, fest-noz became a way to raise money for these schools that were not supported or subsidized by the French government (Dołowy-Rybińska). Fest-noz serves the dual purpose of promoting the Breton language and culture by creating a community of practice and financially contributing to the language revitalization efforts of Diwan schools. These gatherings provide an opportunity for a generation of adults who did not grow up speaking Breton to reconnect with their identity. Attitudes about minority languages are crucial to revitalization efforts. The creation of cultural identity among Bretons who do not speak the language is important in the formation of positive attitudes about Breton. This can precipitate a desire to see the language kept alive and spoken by future generations. Breton’s Celtic counterpart across the channel, Welsh, has benefited from an increased perception of the language’s status. Hopefully, the popularity of fest-noz among Bretons of all generations will increase the perceived status of the language. In 2012, fest-noz was added to UNESCO’s “Representative List of the Intangible Cultural Heritage of Humanity.” Breton language revitalization comprises one part, and at that a significant one, in the overall revitalization of Breton culture and regional identity. Unlike Corsica, Bretagne has relatively little regional autonomy. Breton music and dance have become ways to assert a cultural identity that is not French. Many Bretons proudly identify themselves as Breton before French. Thus, a broad promotion of forms of Breton identity is central to language revitalization efforts. You are welcome to post the article on your website. It would be nice if you keep our link, or redirects readers to our blog. Thanks!